Getting to Jackson Square is easy! We’re in the heart of Bishop’s Strotford with great travel links by car, bus or train. We’re close to Stanstead Airport and just five minutes away from junction 8 off the M11 and only five minutes walk from the town’s bus terminal and train station. If you’re parking please enter CM23 3XQ into your sat nav and for more information on parking visit our parking page. The car park at the centre is managed and run by East Herts District council and operates a Pay and Display system with machines located across the site. Please note the machines require you to enter your car registration number. The machines accept cash or debit/credit cards. The card payment service is ‘Check In Check Out’ and allows you to pay for the actual time used in the car park. This car park opens at 6am every day and closes at midnight. Designated motorcycle bays are available. For parents of young children we have 10 parent and child bays and for blue badge holders we have 36 bays. If you have any questions or feedback about Jackson Square Shopping Centre please get in touch. The centre’s toilets are located at the bottom of the travellators next to the centre’s Riverside entrance. Further facilities are located within Sainsbury’s. There are disabled facilities and baby change located in the same area. The first time you access the Jackson Square WiFi you will need to register your details. Once registered you can access the WiFi free of charge every time you visit the centre by just logging in with your email and password. InPost Uk is now available at Jackson Square. The boxes are located on Bridge Street. InPost UK allows online shoppers and retailers to send, collect and return goods via their national network of automated parcel lockers. The Lockers at Jackson Square are located on Bridge Street and are accessible 24/7, 356 days of the year. The lockers provide the ultimate convenience for parcel delivery as there is no need to queue or worry about opening times. Whether you are wanting to send a parcel for work or to friends and family InPost Direct could be the answer. You can also buy an item online from one of the brands’ retail partners (see link below for more details) If you’re an eCommerce store looking for an easy Click & Collect service for outbound and returns InPost could also be the answer. To make shopping with Jackson Square even easier a number of our stores offer Click and Collect. Simply browse online and choose Jackson Square as your chosen pick up point when checking out. If you’re looking for temporary trading or promotional sites you’ve come to the right place! Jackson Square offers a superb range of options. The centre has great footfall and a diverse retail mix making it the ideal location for you to promote your products, brand or services. 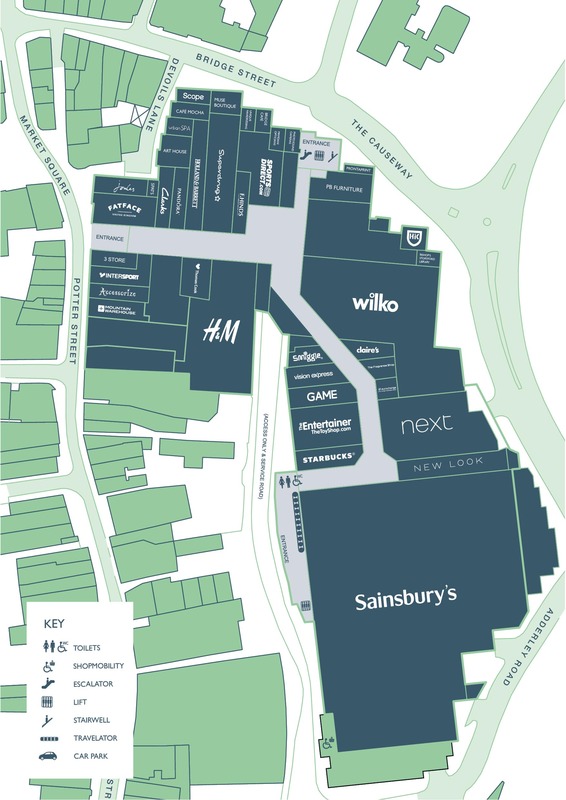 Promotional sites at the centre are located in key trading spots including close to well–known retail brands. Jackson Square offers free-standing promotional sites available on weekly and medium terms. In partnership with Positive Media Marketing, we have big ‘A1 poster sites’ (2 foot x 3 foot frames) located in key spots around the centre where thousands will view your message every day. Our poster sites are both effective and affordable, because they are positioned in captive areas where people stand, wait and want something to read or look at.